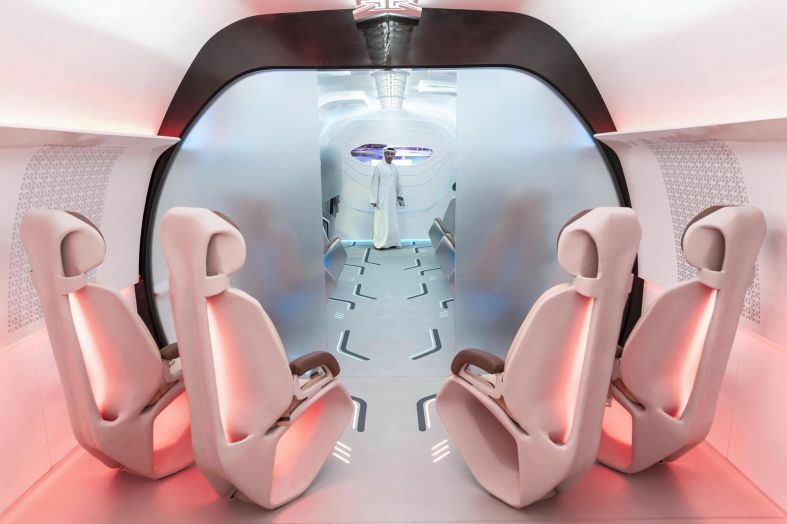 Working with Virgin Hyperloop One, and the Roads and Transport Authority of Dubai (RTA), Designworks helped create a prototype design for the Dubai hyperloop capsule. The design recently made its global debut at City Walk Dubai as part of UAE Innovation Month. This is the first time a physical, full-scale hyperloop prototype has been shown to a broad public audience. 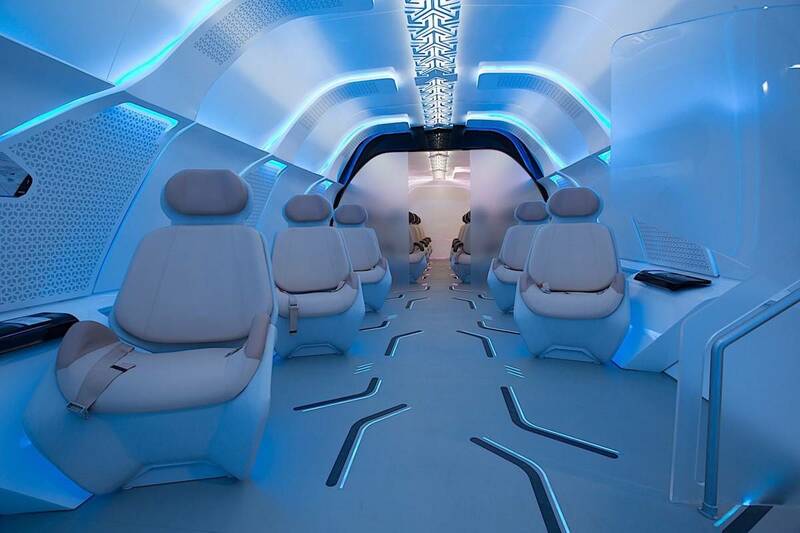 The Hyperloop will be more cost efficient to society than airplanes, taking you from point A to point B at impressive speeds of up to 1,080 km/h. In the meantime, BMW Designworks has envisioned a comfortable and engaging interior, one that would not feel restrictive or claustrophobic. 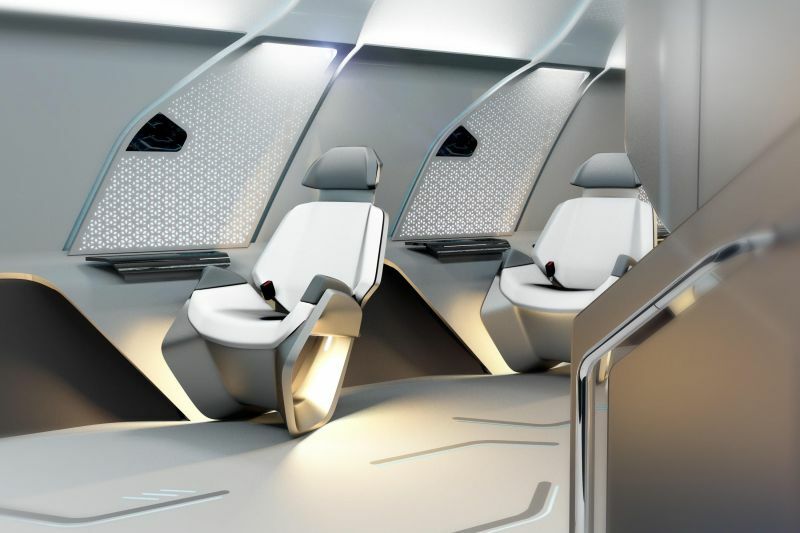 The designers from BMW took inspiration from traditional Arabic patterns for this interior concept, which might explain the few cultural references complemented by a futuristic and progressive interpretation. The interior design concept would, in this case, also benefit from multi-directional and personally-controlled light sources that should make up for the lack of windows and the warmth of the sun’s rays. 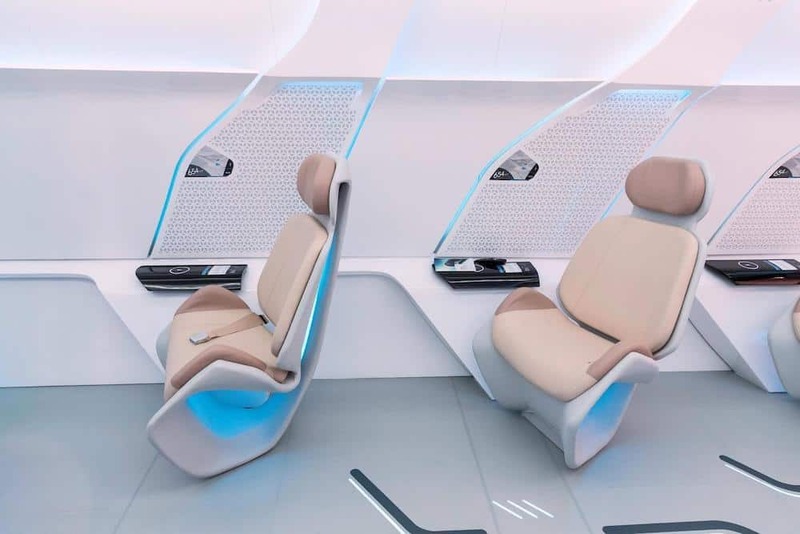 Furthermore, digital displays and premium comfort options would allow passengers to enjoy adjustable leather seats fitted with touch screens, integrated heating, and cooling, while personalized entertainment goodies through built-in displays would make their hyperloop journey a dream.